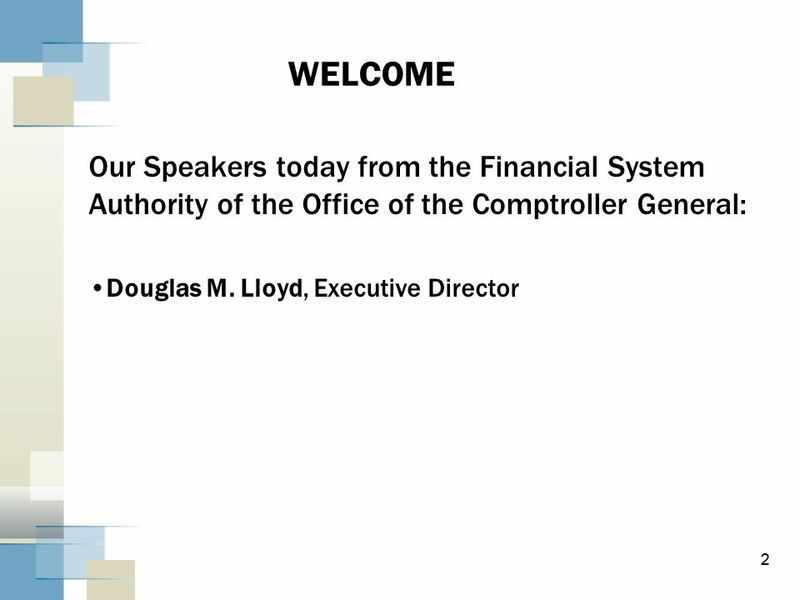 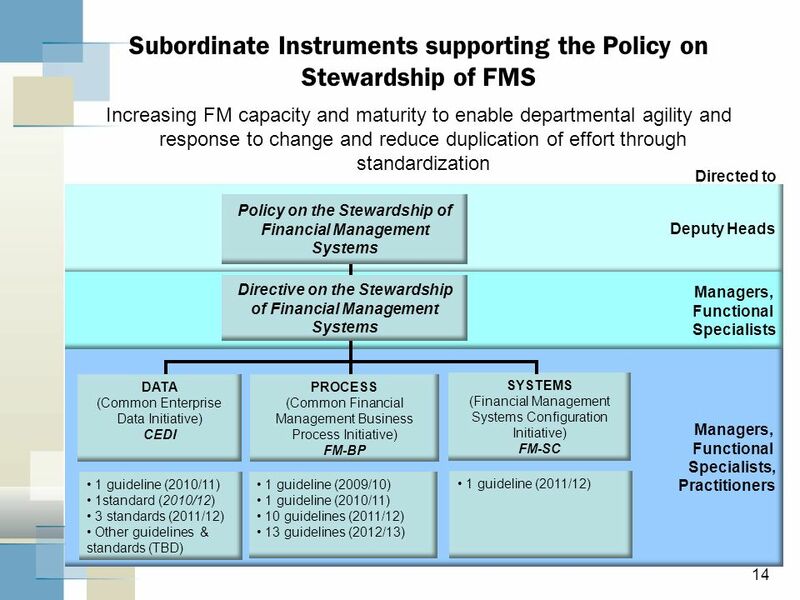 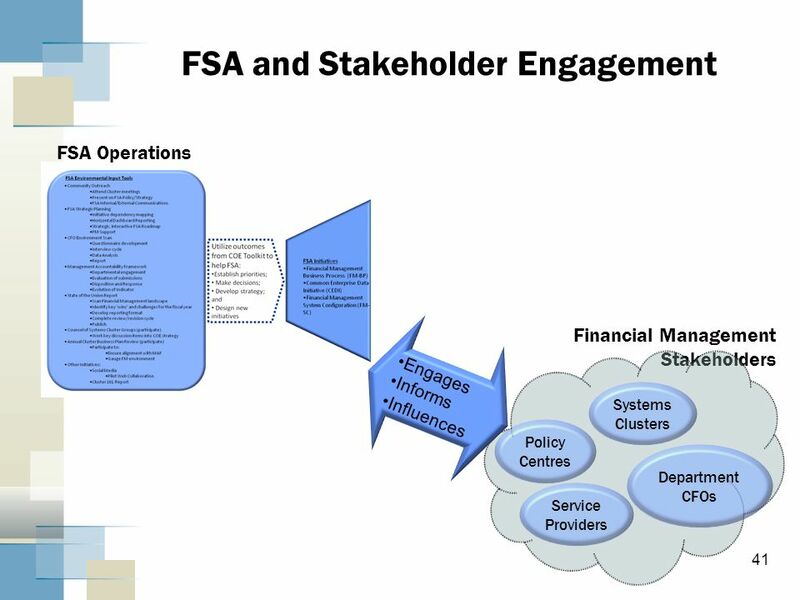 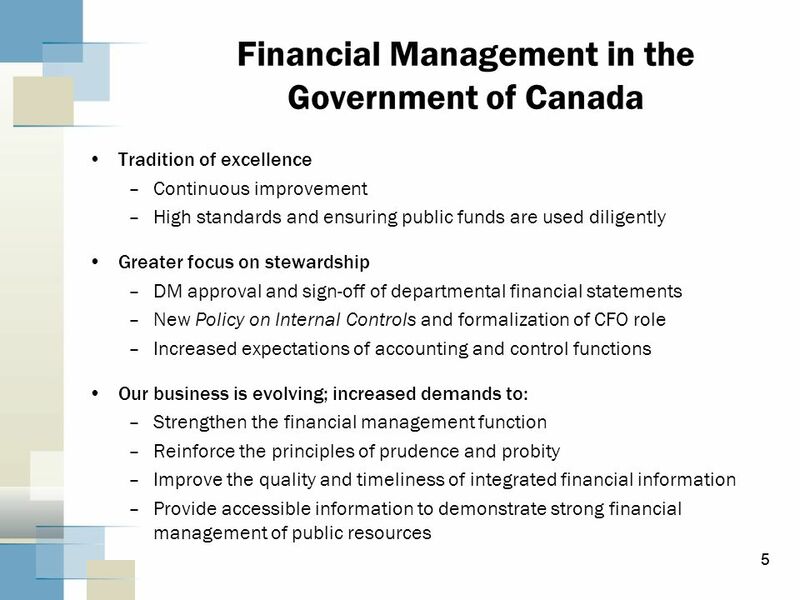 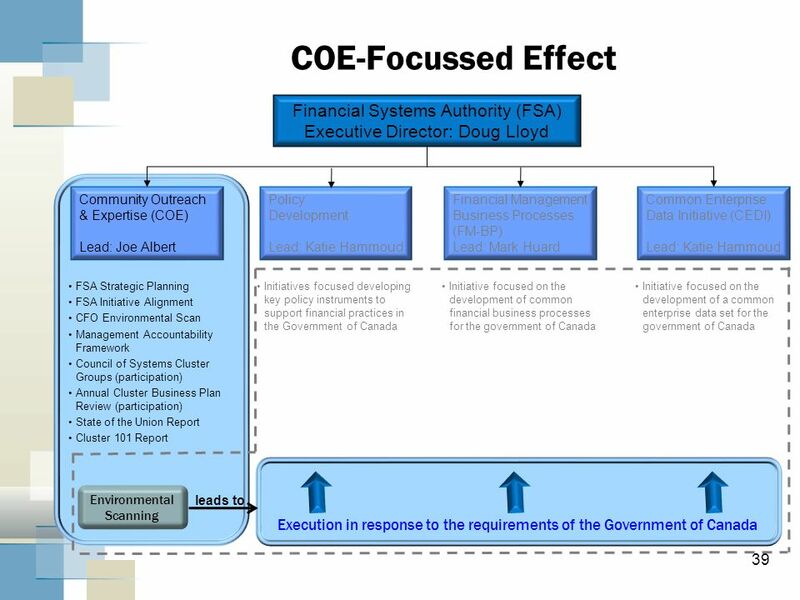 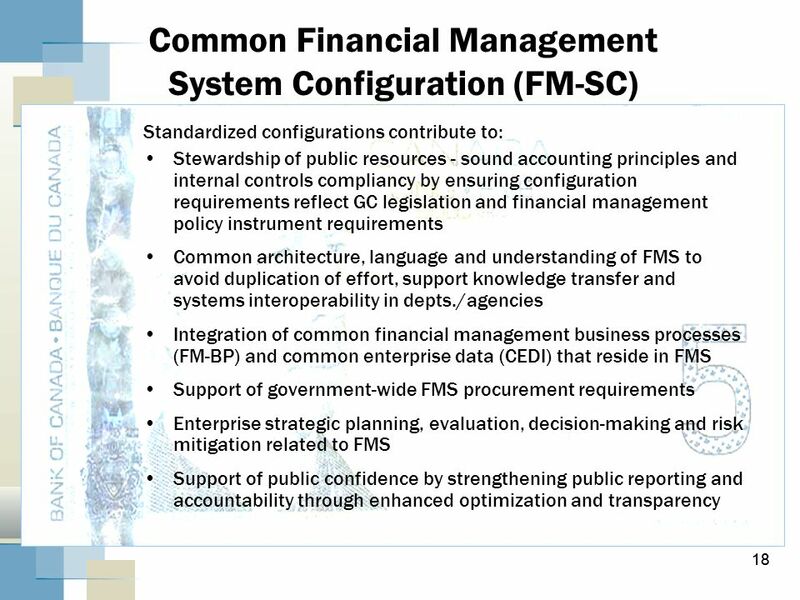 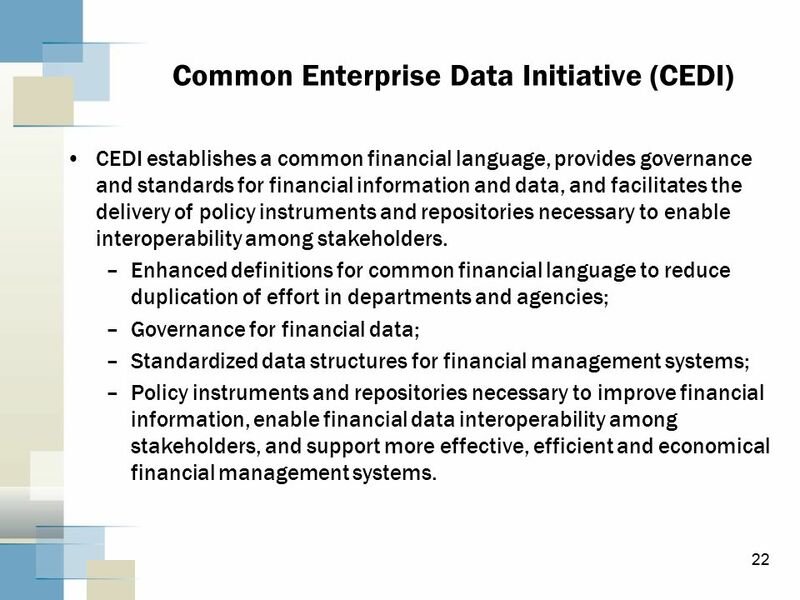 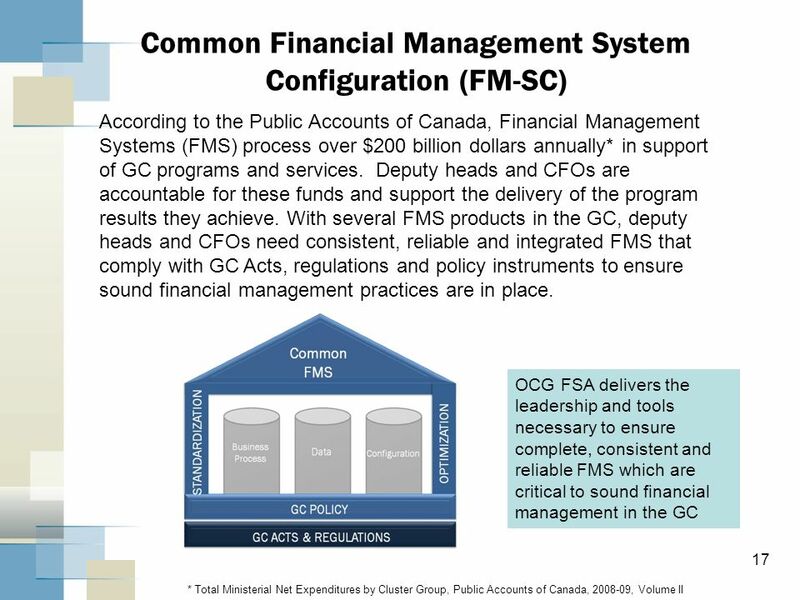 Stewardship of Financial Management Systems in the Government of Canada Office of the Comptroller General (OCG) Financial Management Sector Financial. 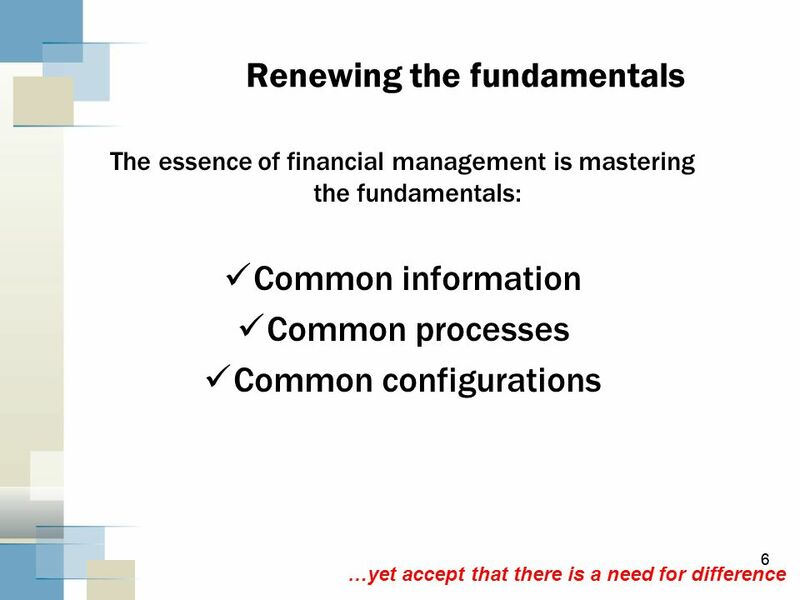 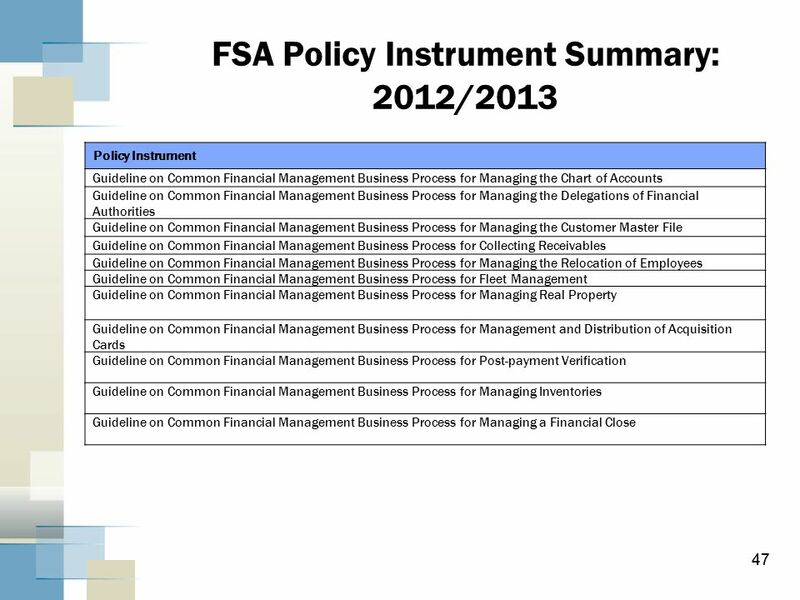 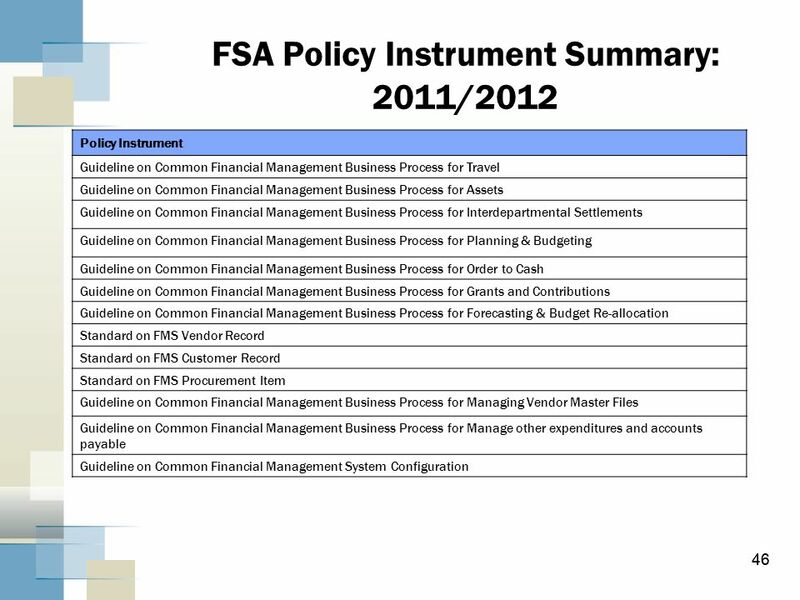 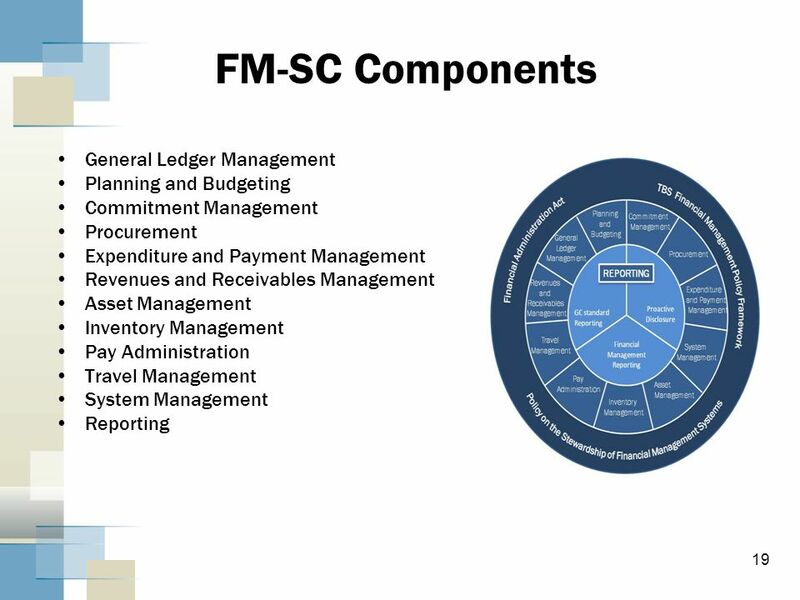 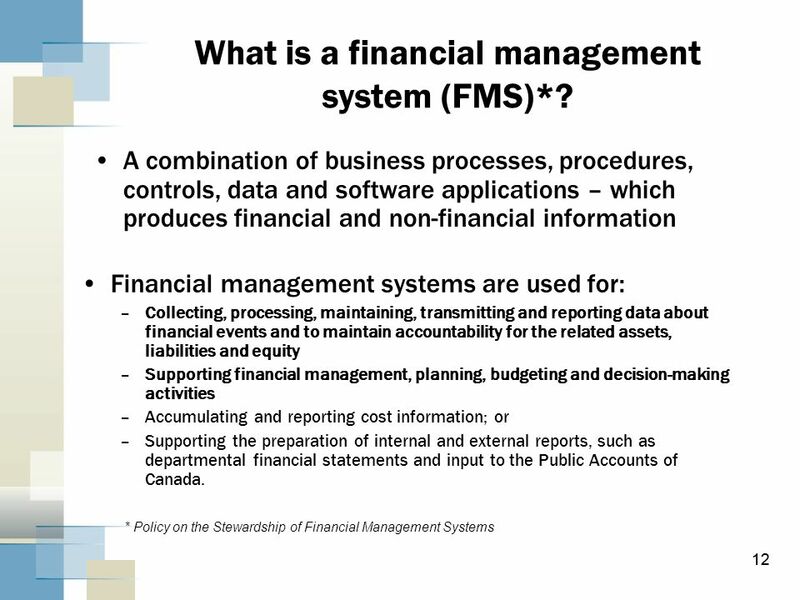 12 What is a financial management system (FMS)*? 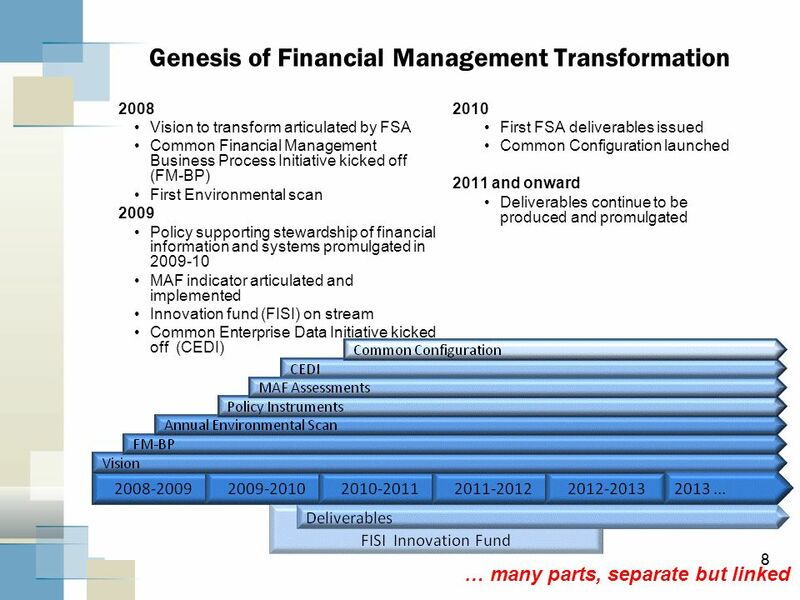 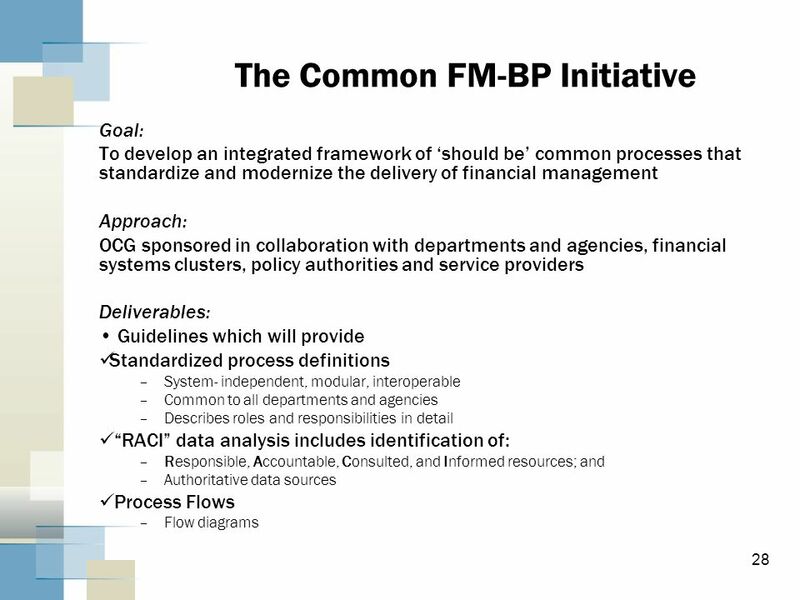 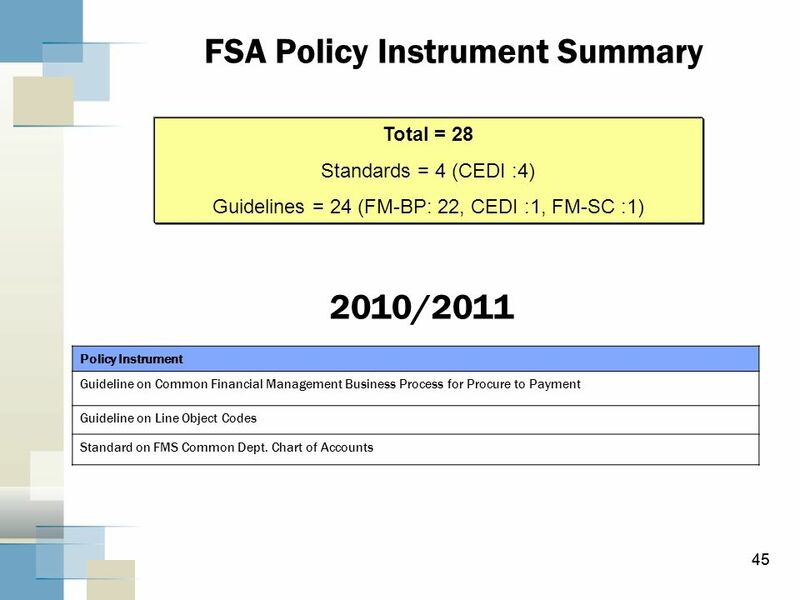 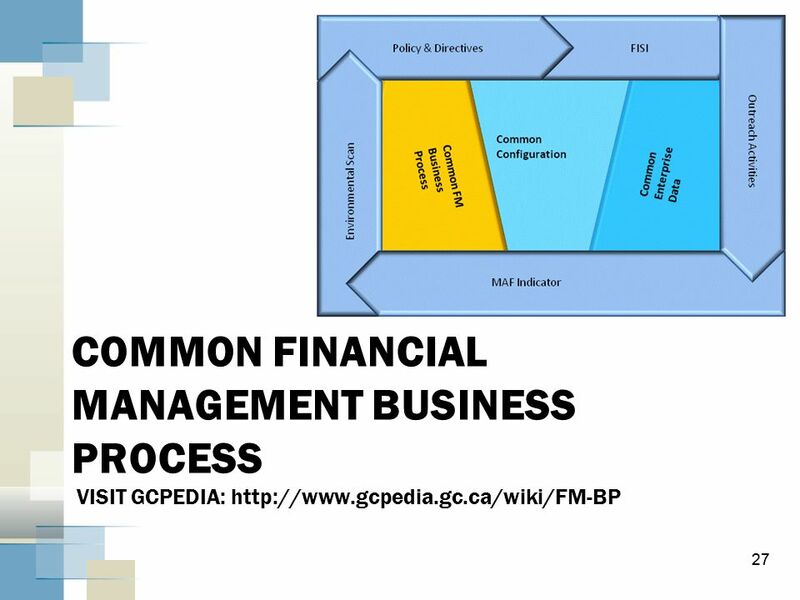 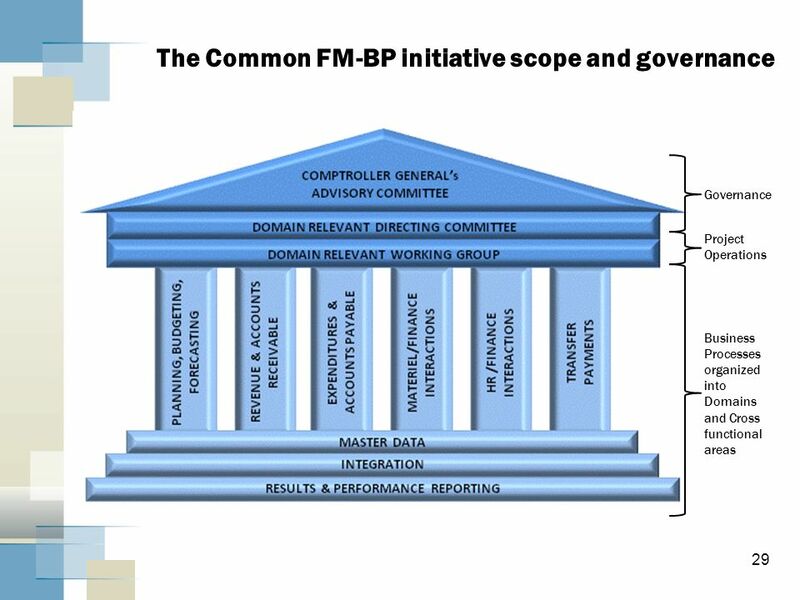 32 FM-BP Processes Processes are described from a financial management point of view. 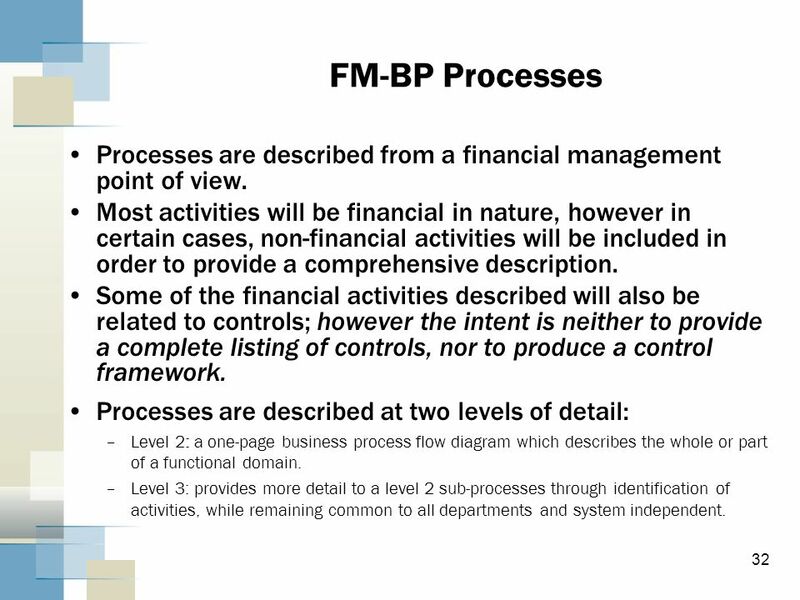 Most activities will be financial in nature, however in certain cases, non-financial activities will be included in order to provide a comprehensive description. 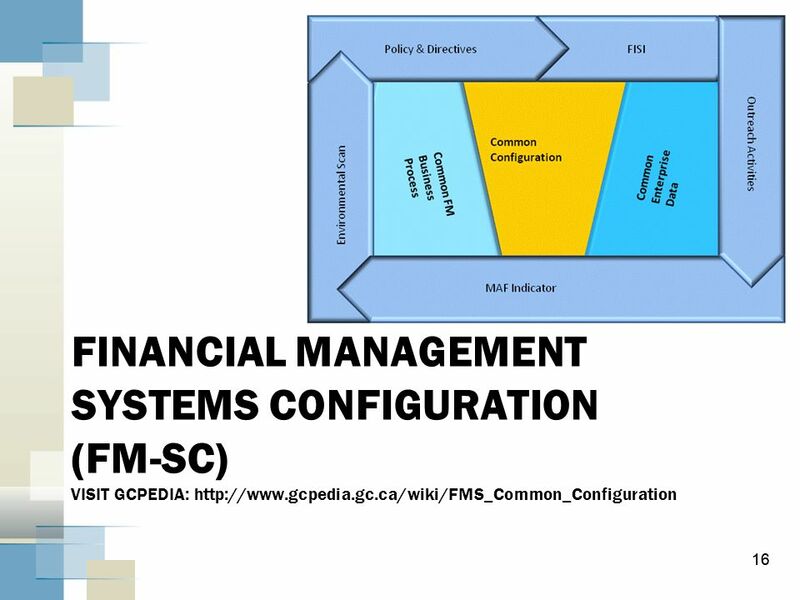 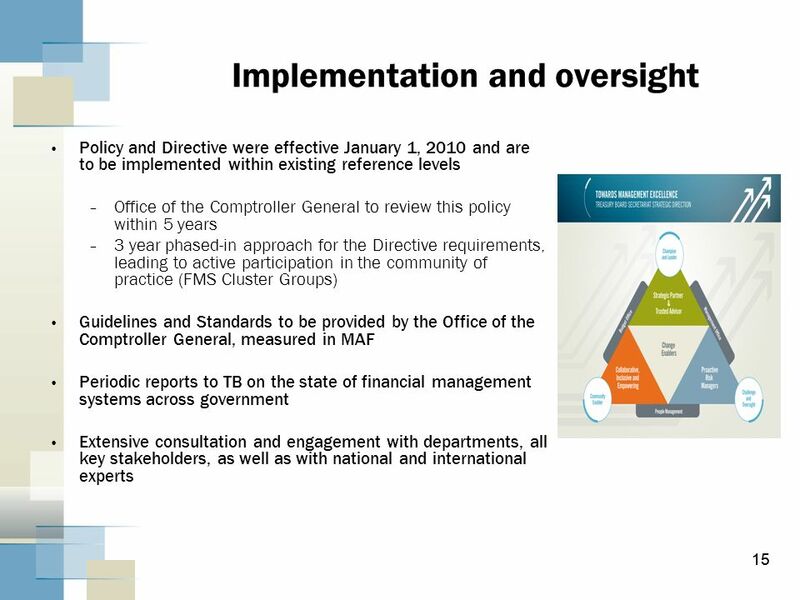 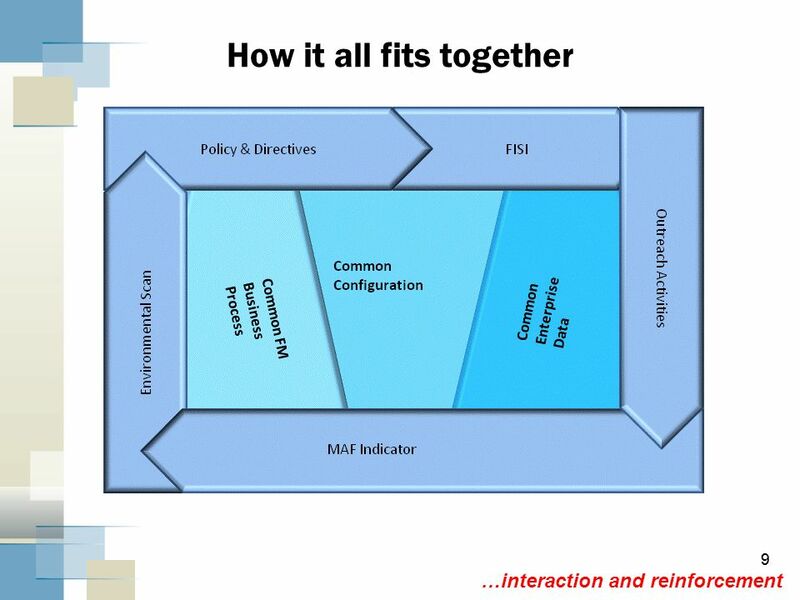 Some of the financial activities described will also be related to controls; however the intent is neither to provide a complete listing of controls, nor to produce a control framework. 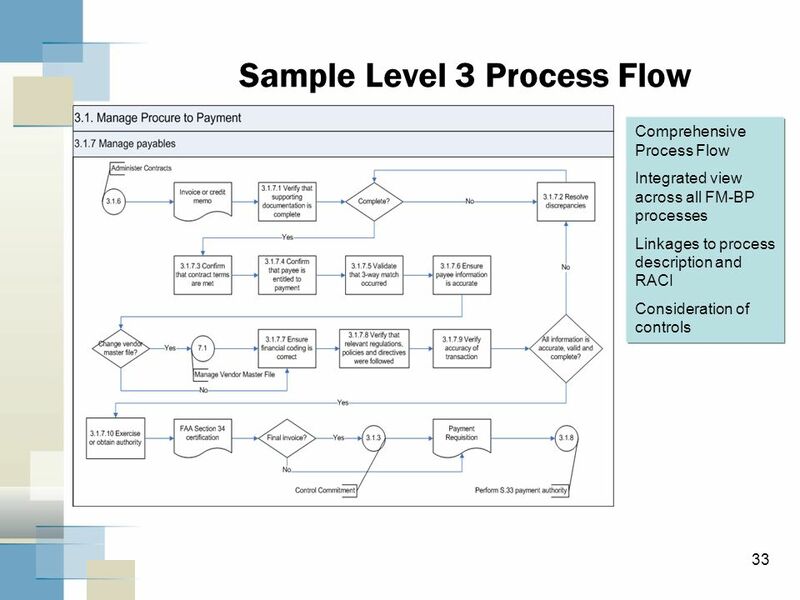 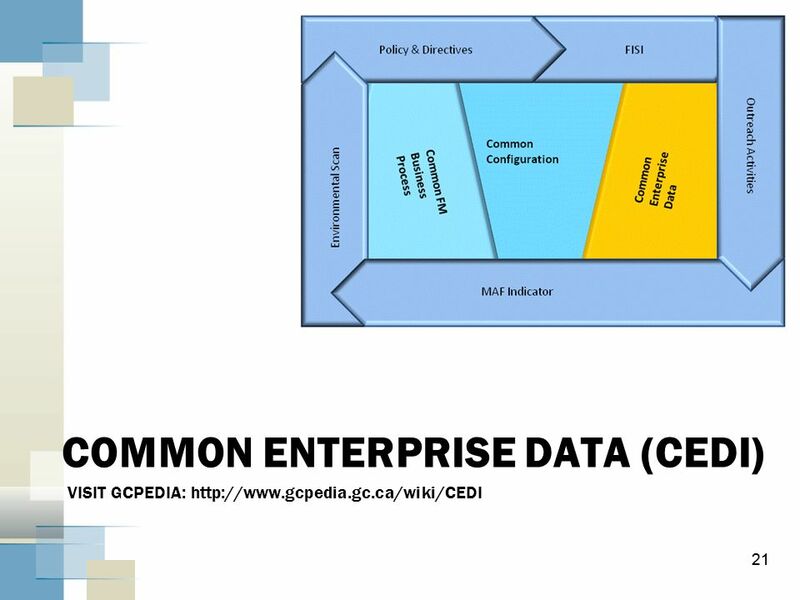 Processes are described at two levels of detail: Level 2: a one-page business process flow diagram which describes the whole or part of a functional domain. 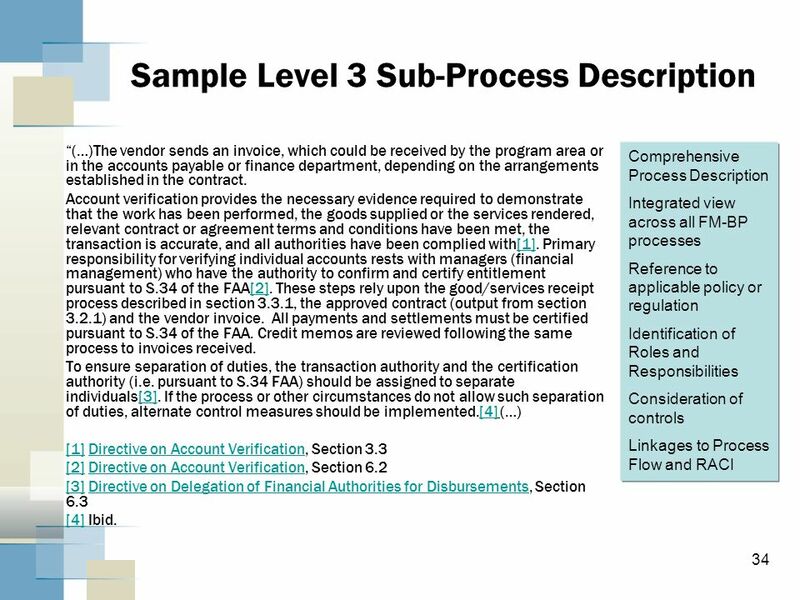 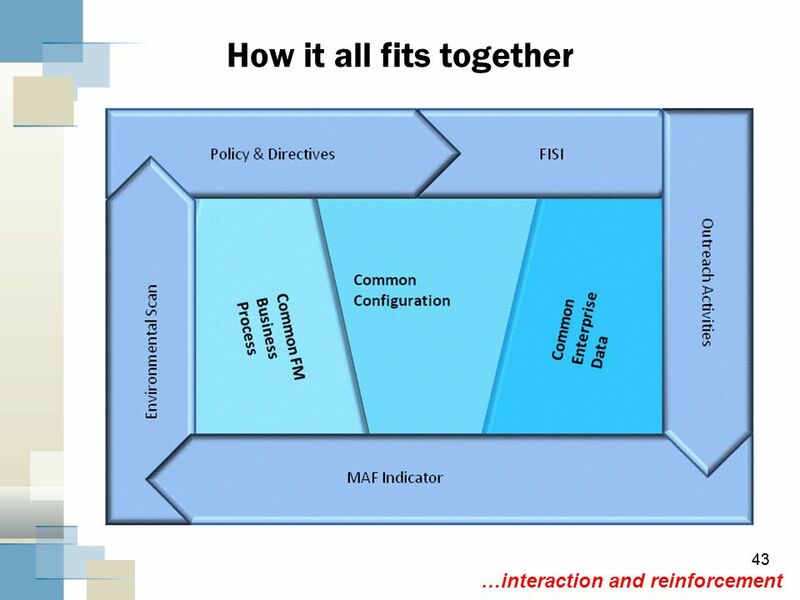 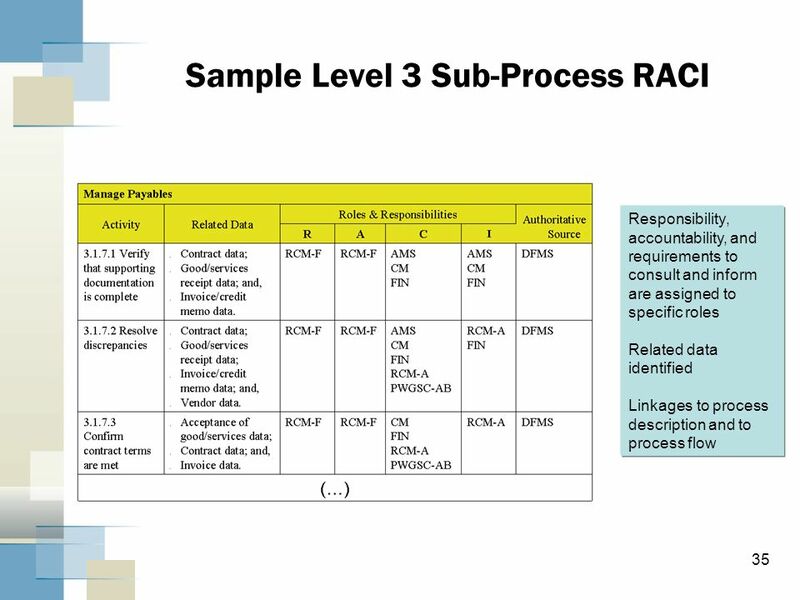 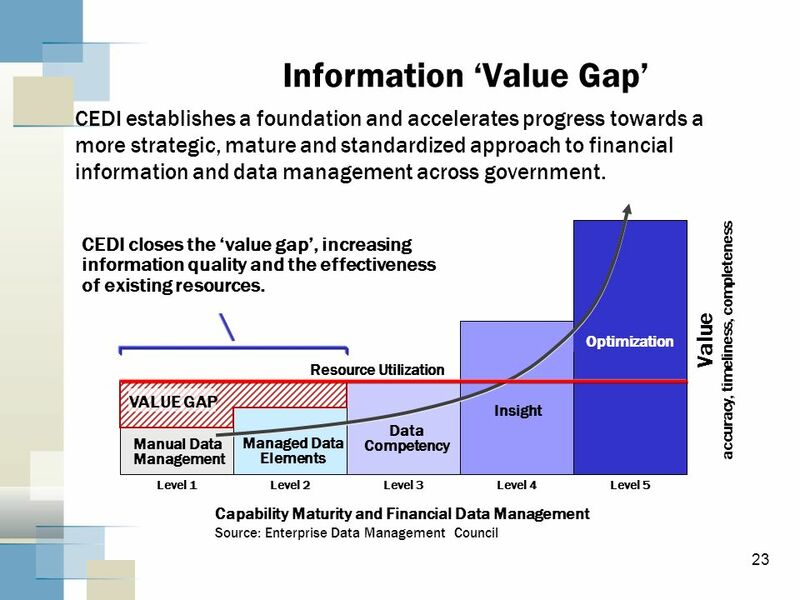 Level 3: provides more detail to a level 2 sub-processes through identification of activities, while remaining common to all departments and system independent. 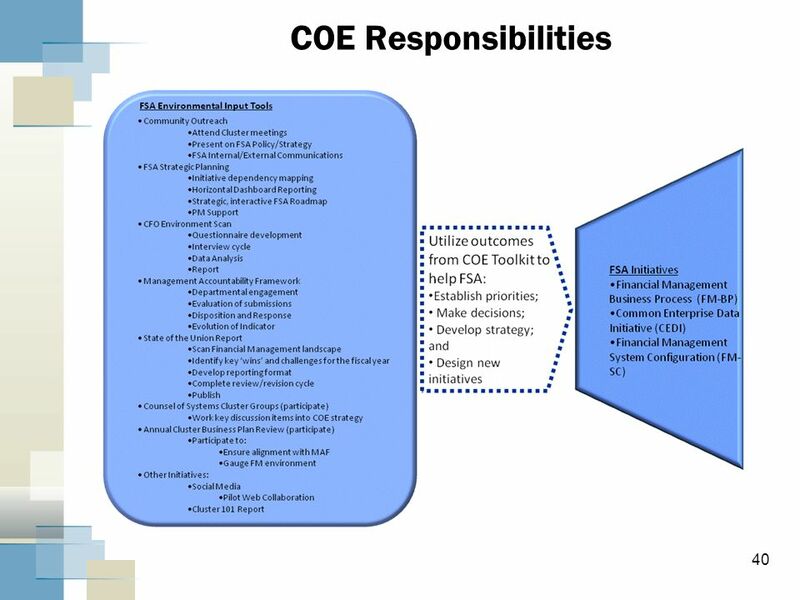 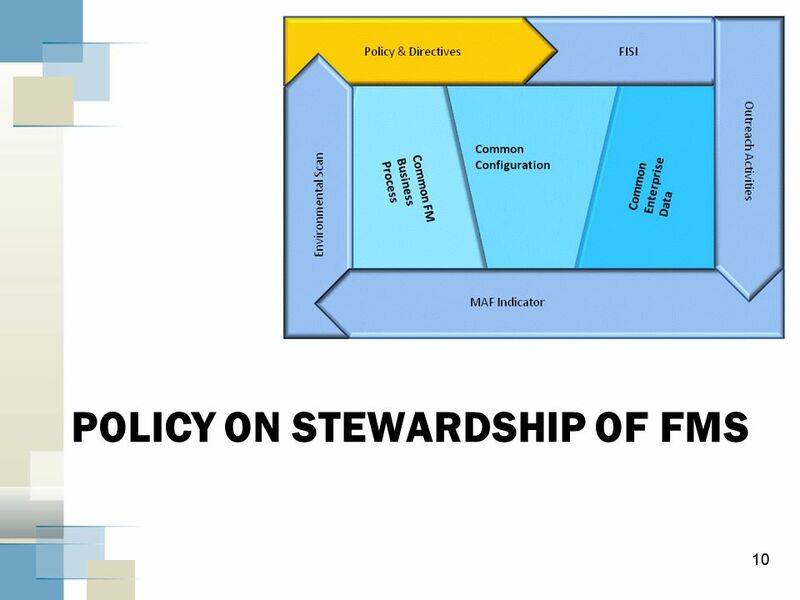 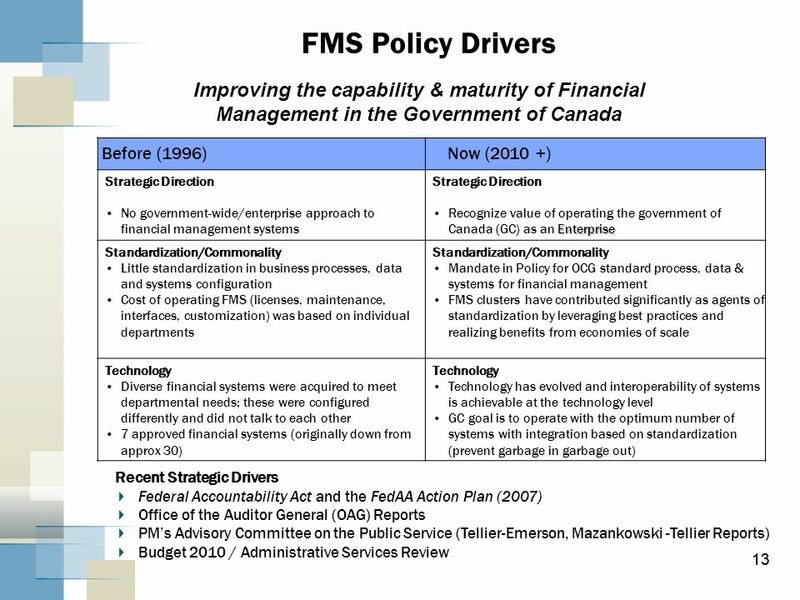 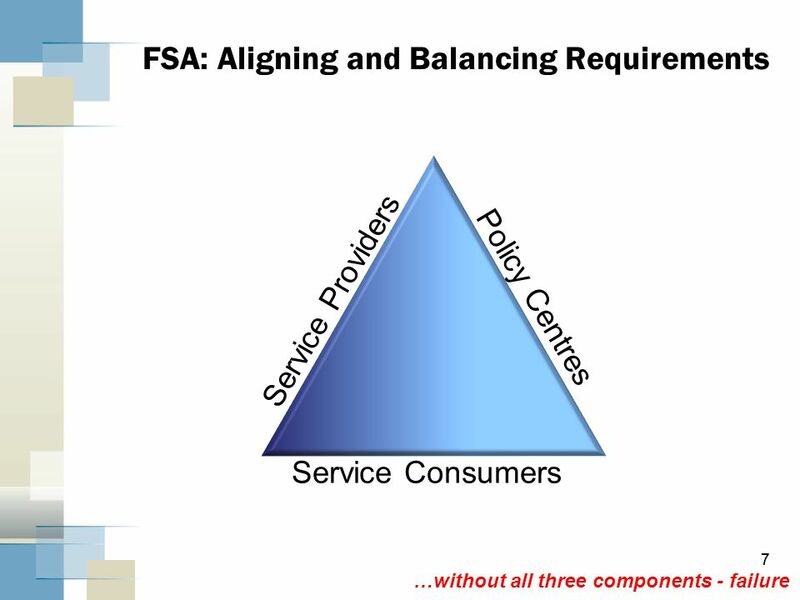 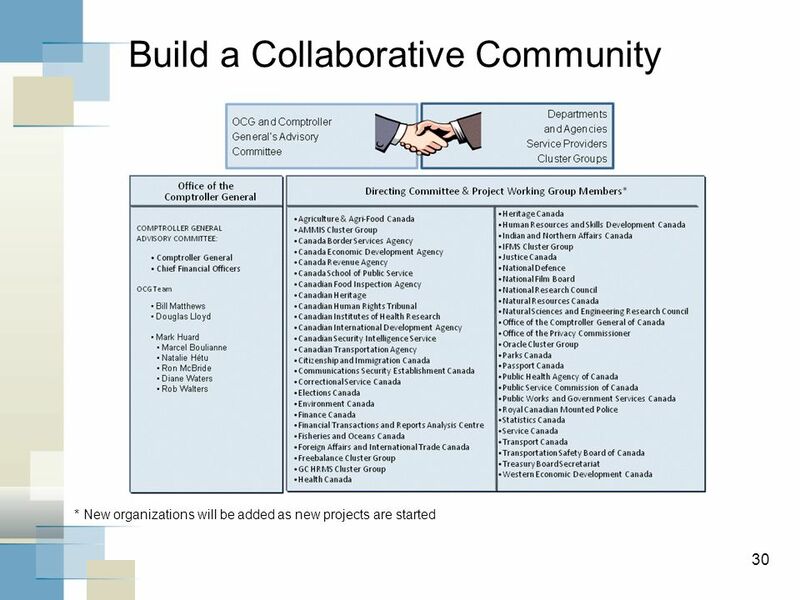 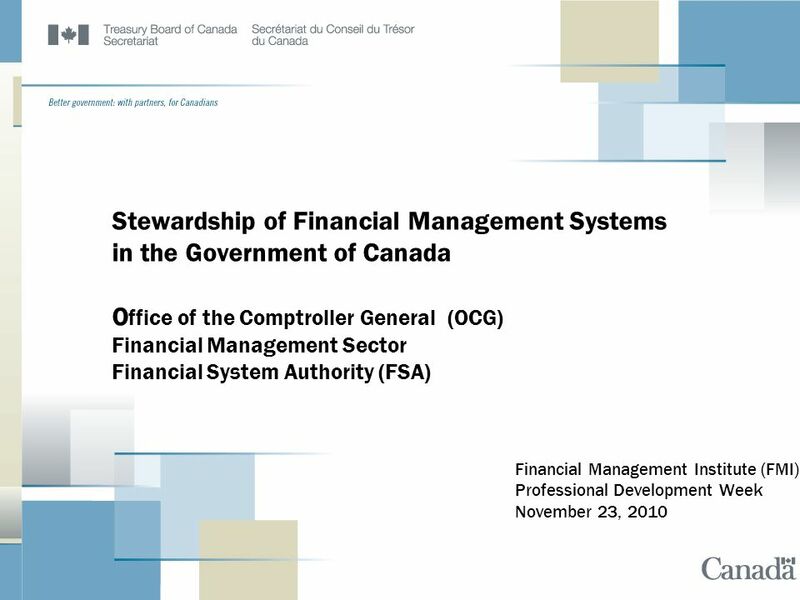 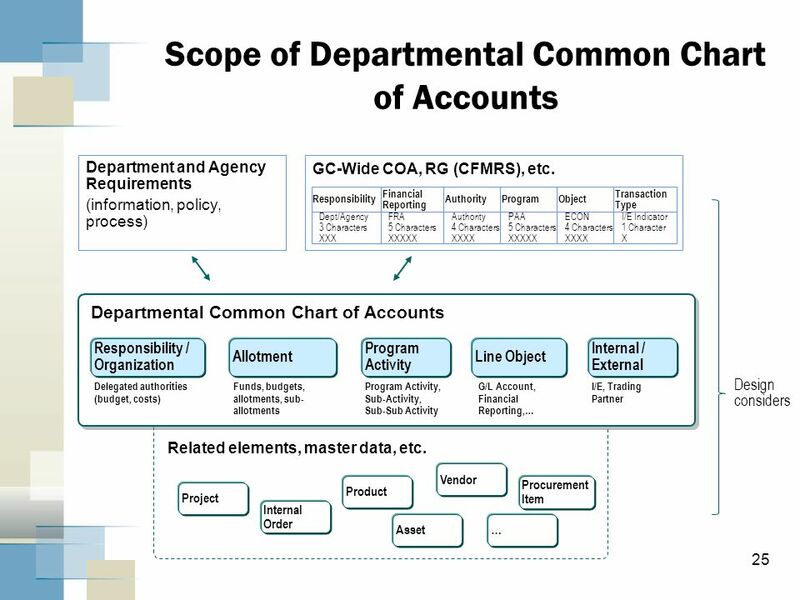 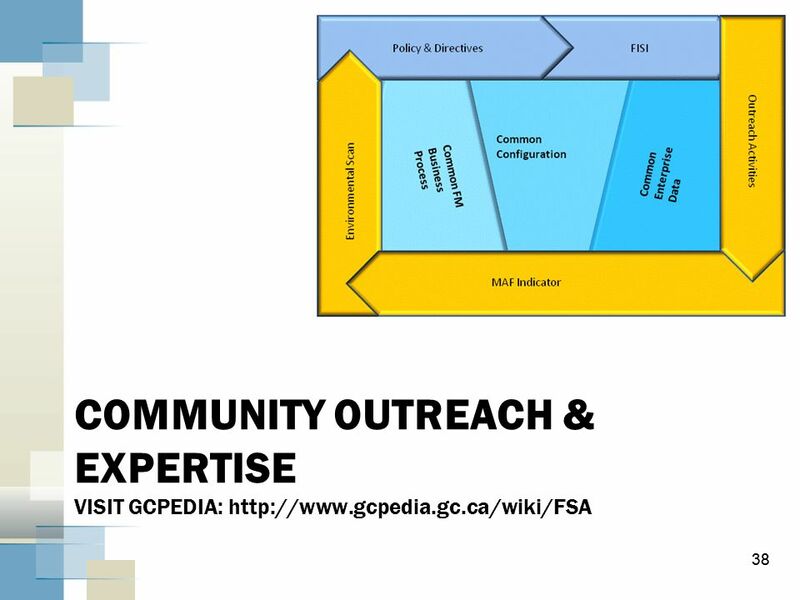 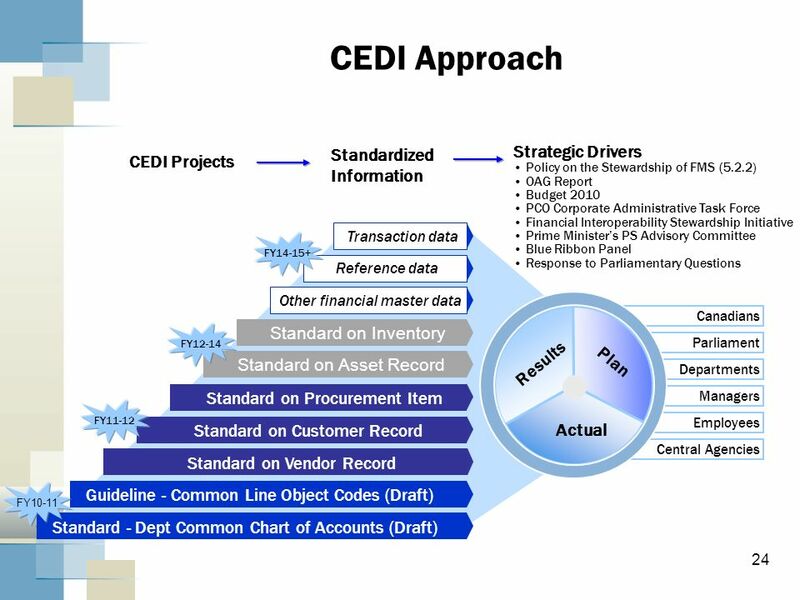 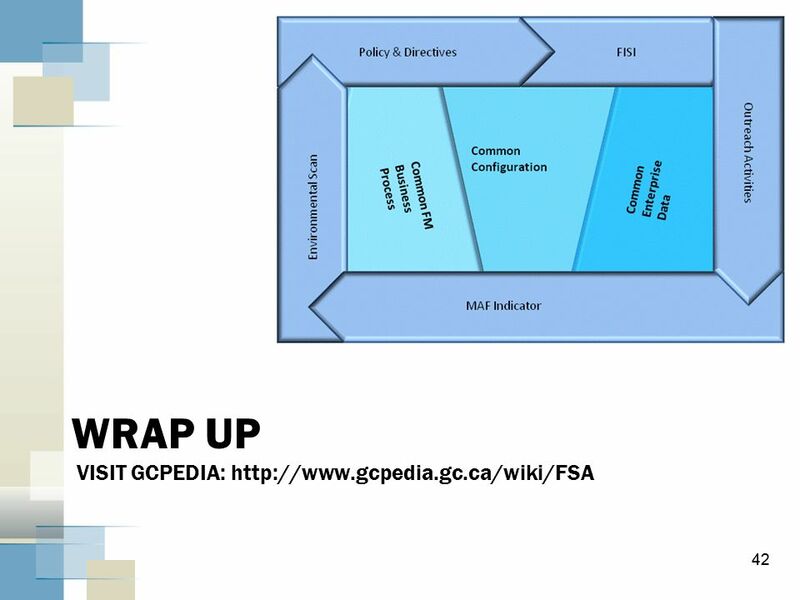 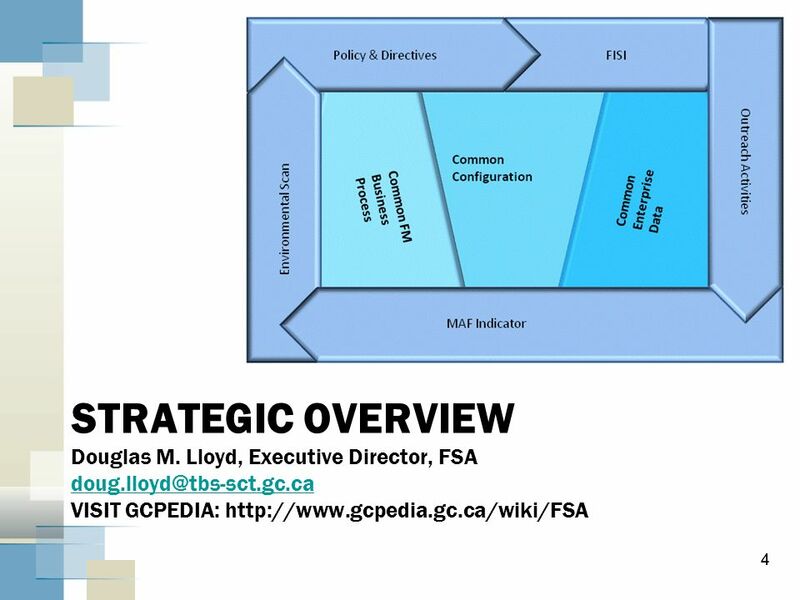 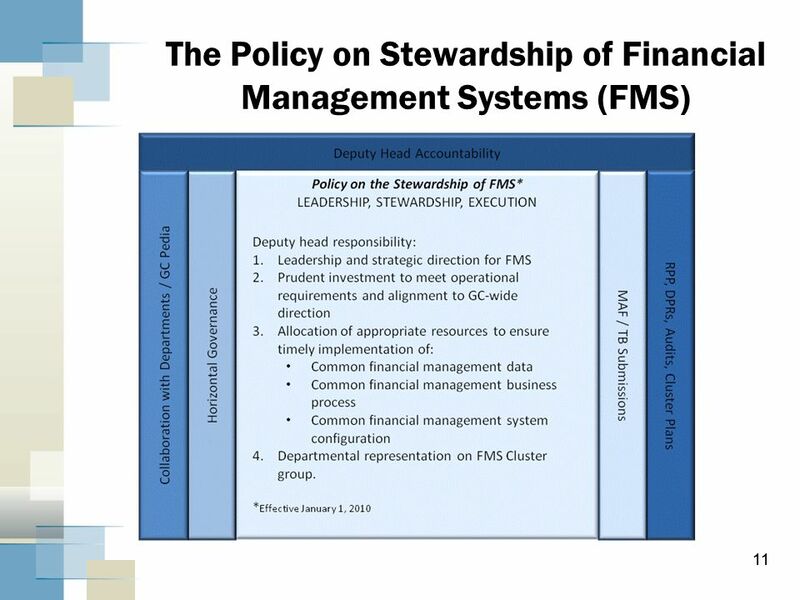 Download ppt "Stewardship of Financial Management Systems in the Government of Canada Office of the Comptroller General (OCG) Financial Management Sector Financial." 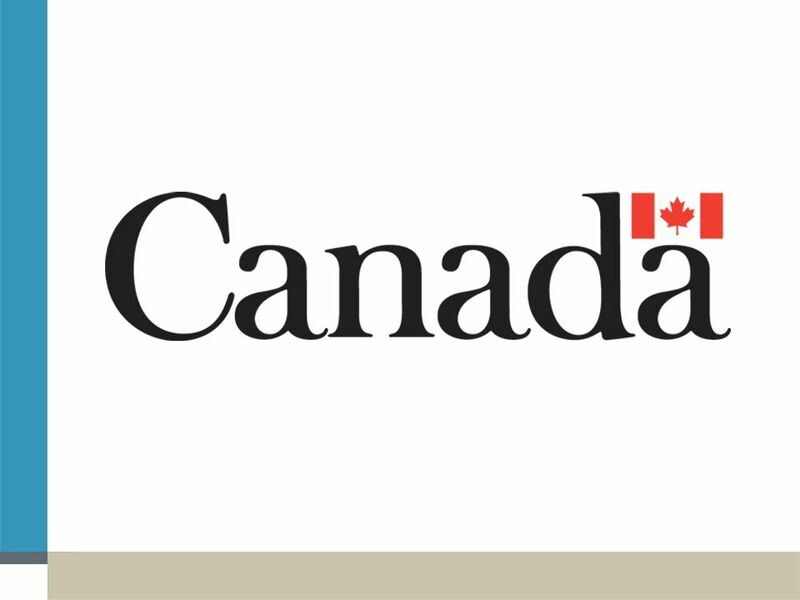 Evaluation at NRCan: Information for Program Managers Strategic Evaluation Division Science & Policy Integration July 2012. 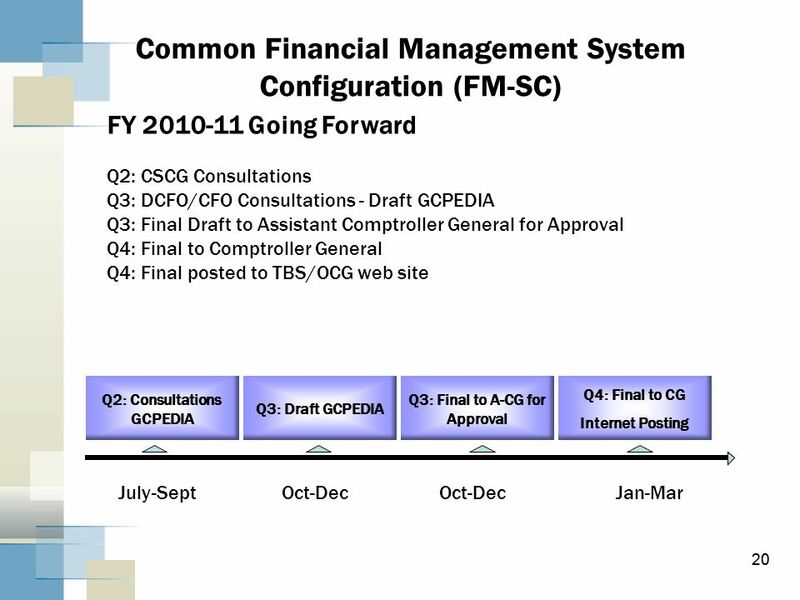 Federal Grant Reimbursement System 1. 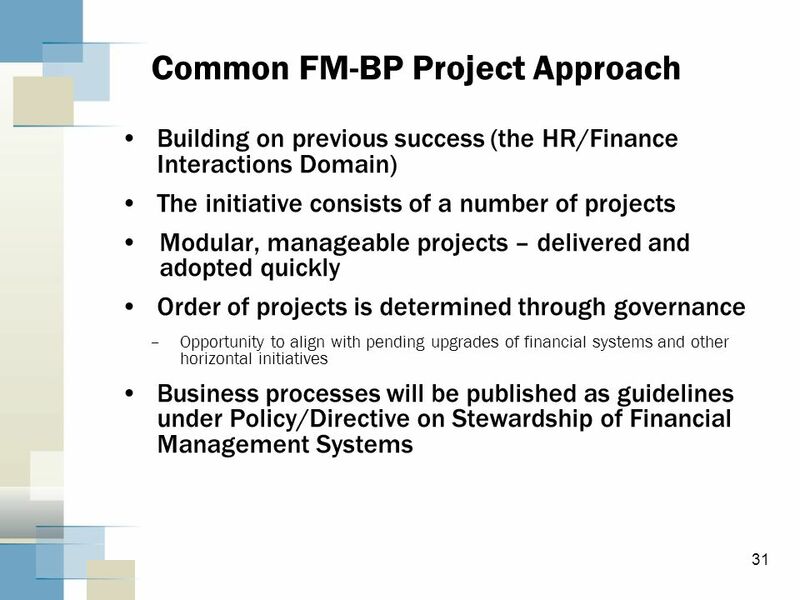 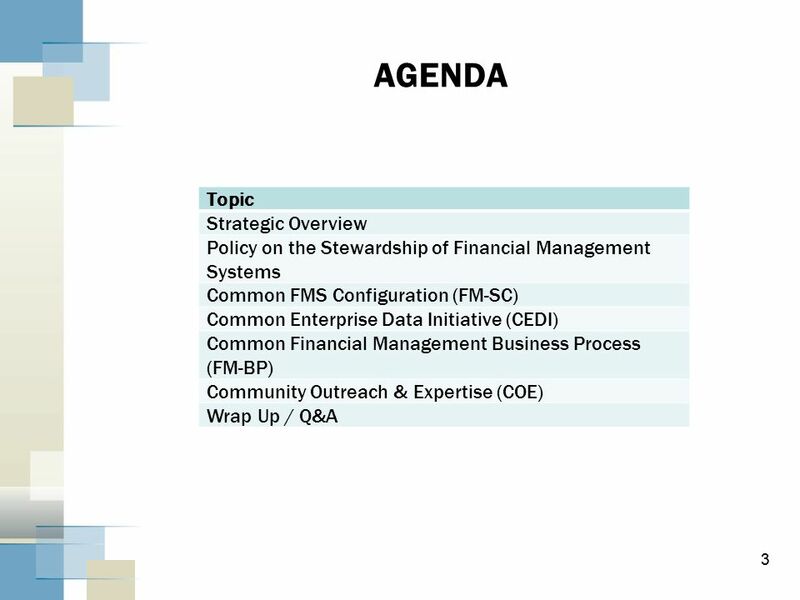 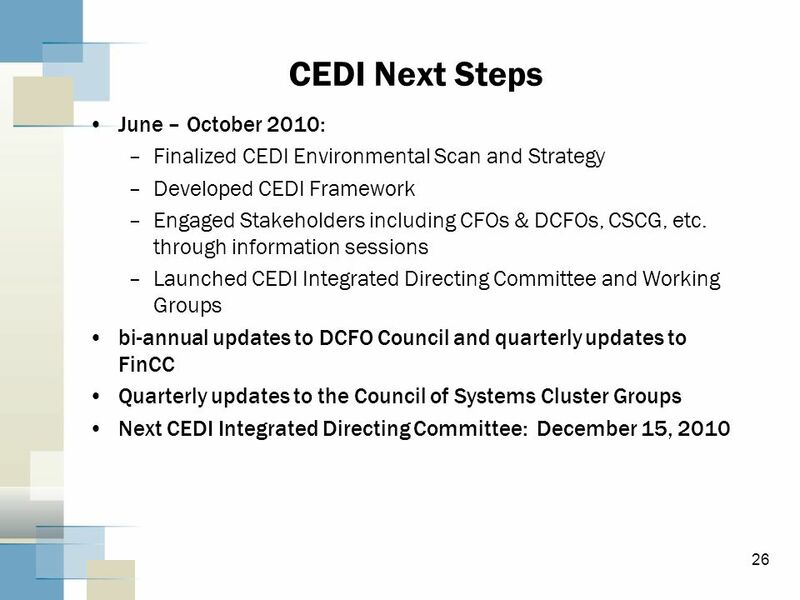 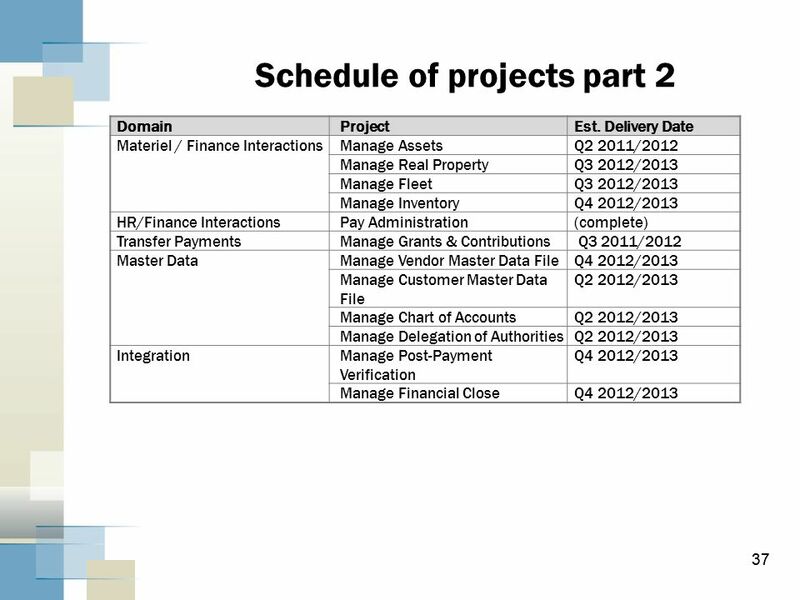 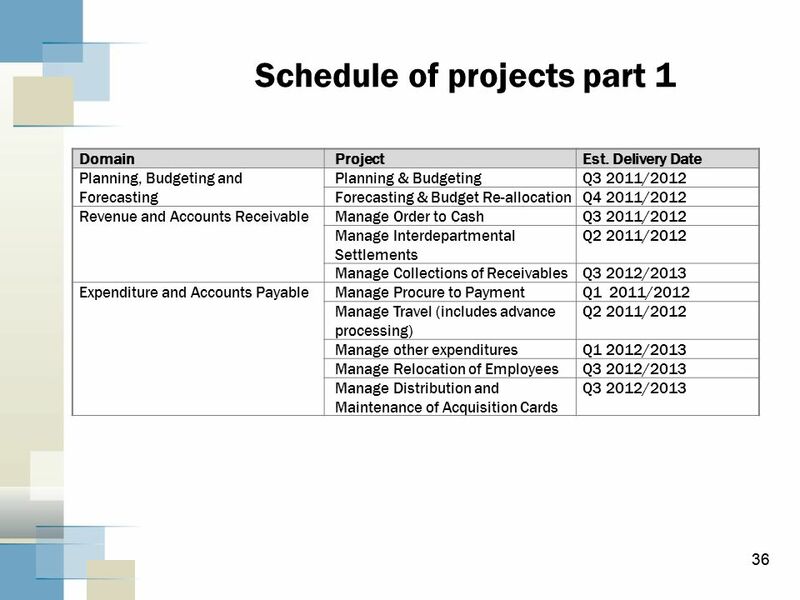 Welcome In this webinar, we are going to address the following issues: Phase One: Cash Management Close-out Phase.